Language labs abound in number. Multi- media labs, computer-aided labs and digital media labs are a few to mention. EduTab language lab is world class educational software which is built with client specific attributes that brings assured benefits to educators as well as students in improving English Language skills. The administrator or teacher stays connected with the students Consoles and offer contents in the formats like rich media files, audio, video etc. 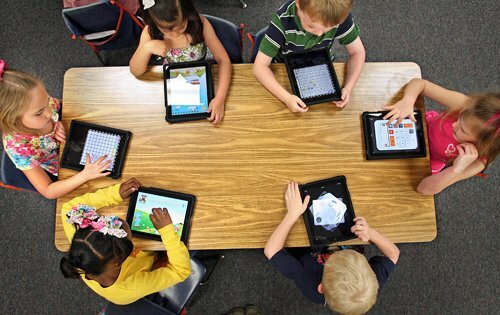 Tablets have become the vehicle for a new trend in education. Tablets hold great promise in delivering effective education as they feature innovative hardware and also interactive content both of which are key to superior learning. EduTab Language Lab opens up a wide horizon of language learning skills. The power and interactiveness of touch screen technology and affordability are the reasons why we recommend EduTab Language Lab. EduTab Language Lab is a perfect platform for collaborative language learning. Auto connection is enabled once the teachers and students logs in. Students can continue with their language learning even when the teacher is offline. Individual or group chatting facility allows student and teacher remain connected. Admin enjoys the complete freedom over the entire system and can make any changes as and when required. Teachers can assign learning tasks either group-wise or on individual basis. Group-wise learning tasks brings out internal skills and improve language proficiency in students. This is the most fruitful part of our system. In this activity, the students can listen to teacher recorded track or model track, repeat and record their own voices. This enables them to practice the intonation, stress and rhythm of language. The student track can be forwarded to the teacher. The model track and student track can be compared which enables easy assessment and correction of areas that need improvement. EduTab Language Lab features an easy-to-use content management system.Teachers are gifted with the freedom to customize the content according to their wish. 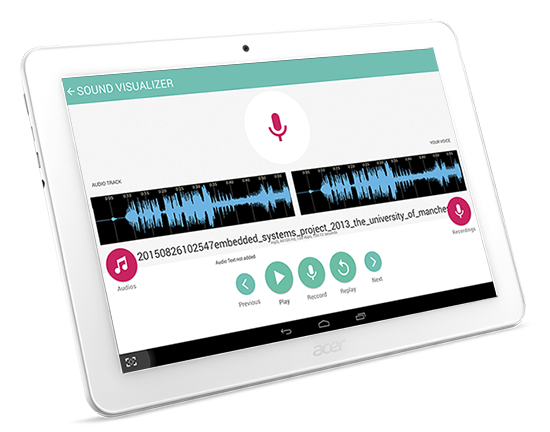 Teachers can attach multimedia files, videos, images, record their own audio tracks and attach them with chapter content or directly forward it to students. Epub, PDF, PPT type chapters can also be created. Students can work with this material individually and at their own pace which in turn saves time. Transparency, proper communication and proper management is highly important for the success of any language lab. We understand the misunderstandings that are very often created due to poor communication. 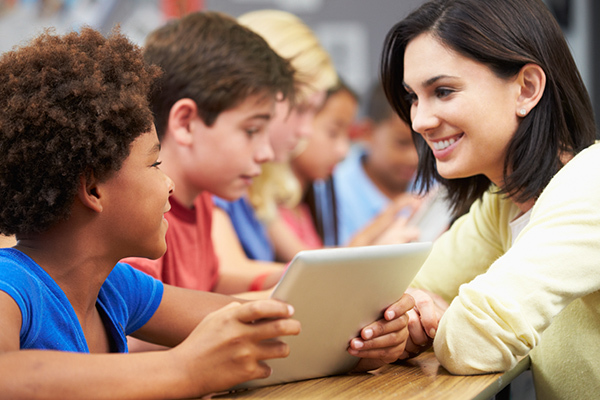 EduTab offers numerous tools to facilitate clear, Unhindered and one-on-one interaction. Intercom calls, video chats and discussion boards are just a few to mention. Every student acquires equal attention from the teacher. EduTab Language Lab encourages even the self - consciously inhibited student to speak out with confidence. EduTab Language Lab features assessment activities like assignments and exams. Using the Exams module teachers can easily create a variety of tests for students. And with the Assignment module writing skills can also be evaluated. Teachers can use audio, video, images and text in the questions. Evaluation is just a matter of few seconds. The model track and student forwarded track can be easily compared which enables correction of areas that need improvement. The entire class overview can be obtained with a single touch. Once the students are done with their exams, assignments, teacher can review or rate it much faster. The graphical representation for the same helps to analyze the results easily. 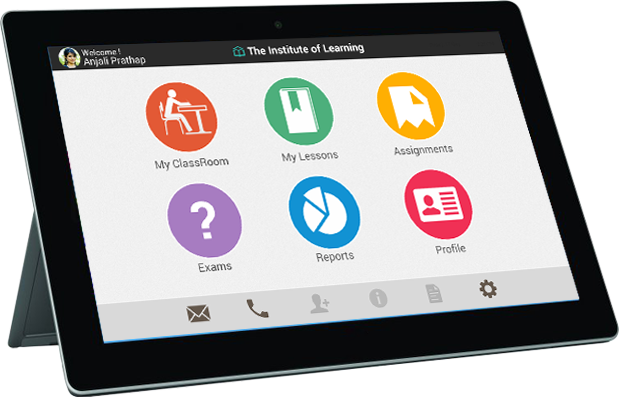 Attendance reports, log reports, exam results everything with just a touch. This allow parents to monitor their child’s progress. The essential components of Edutab Language Lab are tablets for the teacher and all the students featuring WLAN facility. The entire network will be attached to a local server to save content. And, every tablet will have a headphone attached to it. There are three types of users in this network; admin, teacher and students. Admin will have full control of the entire network. The person assigns permissions to the teacher and assigns students. The teacher would have complete access within the assigned network. And, student, the end users are allowed to do anything to help and improve their learning. They can even choose from the teacher-lead and self-mode environments.The entire system would be operating on the Android platform; from version 4.0 and above. The administrator and the teacher can assign level-wise or class-wise assignments as required. Updating the content saved on the devices is as simple as syncing the same with the local server at regular intervals. Go for EduTab Language Lab; you will never regret the choice made!